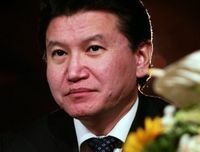 World Chess Federation (FIDE) President Kirsan Ilyumzhinov is confident that chess will soon be included in Olympics. Ilyumzhinov is one of the most powerful and influential sports administrators in the world today. He is the President and Head of Republic of Kalmykia and has been the president of FIDE since November 1995. He has been travelling extensively promoting the game around the world. Asked in which continent is chess spreading at a fast pace, Ilyumzhinov said: “Chess is now being played in all continents. However, Asia, Europe and America are organising more chess tournaments every day. It is nice to see chess even being played regularly in Mexico and Argentina. “In Asia there has been a boom of tournaments especially in Vietnam and I am delighted that the UAE is also contributing immensely to popularise the game. Shaikh Sultan Bin Khalifa Al Nahyan as president of Asian Chess Federation is a very active organiser of tournaments. I am also very impressed with the amount of young talent in this region,” Ilyumzhinov has obtained degrees and titles from National Academy of Applied Sciences of Russian Federation and New York Academy of Sciences. Ilyumzhinov also made a special reference to the progress of chess in India. “India is progressing tremendously. Vishwanathan Anand is one of the greatest Grand Masters of the present period. He has shown the way for many youngsters,” he said. Ilyumzhinov is keen to spread the game at the grass-roots level. “We are having special programmes in FIDE for chess in schools. We now support chess as an academic subject,” said Ilyumzhinov, who was the deputy of the Supreme Soviet of Russian Federative Republic and the President of Russian Chamber of Entrepreneurs.